I love that Jen is still in love with specimen art like I am. 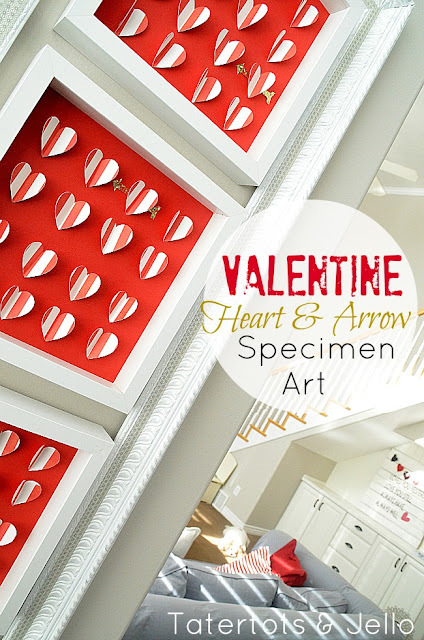 She has a wall dedicated to it and has created these cute heart & arrow specimen boxes for valentines day. You can check out her specimen art wall and these fun valentine heart specimen boxes over at Tatertots & Jello.